In June 2000 the workgroup of traditional Siamese breeders and -fanciers was instituted. This group aims at protecting and preserving the Siamese cat as it was generally known before 1960. In order to attain this the group has developed a breeding standard in Dutch and a breeding plan. 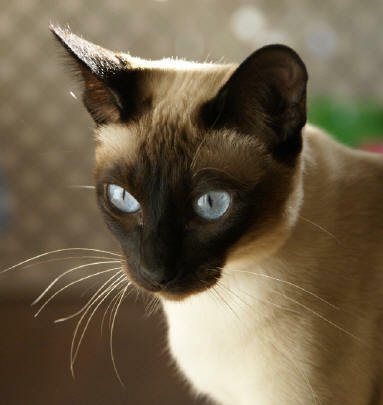 The group provides information to people who are interested in the traditional Siamese and mediate for people who want to buy a traditional Siamese kitten or cat. In order to discern the traditional Siamese from the modern Siamese with its specific, ultra slim body type, the Dutch Cat breeder association "Neocat" has decided to name these cats as " Thai" . The Thai is seen as a separate breed and they have their own breed description. More and more people like to preserve and promote the traditional Siamese or Thai in Holland (and other country's) The workgroup of registered breeders is recognized and supported by the Siamese and Oriental Shorthair Club (S.O.K.) in the Netherlands. Healthiness and Character of the traditional Siamese is the most important and first starting-point. After this we shall bred traditional Siamese with the best externals to get cats conformity the Breed description. 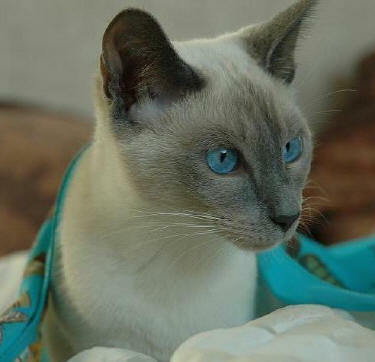 We intent not to use other breeds than the Old-Style Siamese to keep the traditional Siamese pure and characteristic. All breeders are member of the Dutch cat breeder association "Neocat" and endorse the regulations of this organization. The workgroup is recognized and supported by the Siamese and Oriental Shorthair Club (S.O.K.) in the Netherlands. Fanciers and owners of the traditional Siamese without cattery name or plans to breed, are also welcome on this sit'. Also it isn't necessarily to be an owner or to realize a litter in the future. But when it is a wish to do that, they can count on the support of the other members of this group. Information about kittens, please e- mail Ineke Blokker. See also "Kittens" (Kittens for Sale) on this website. We avoid inbreeding and linebreeding and in at least five generations there are no double names in the pedigree. Also the blood lines are from different parts of the world. When our kittens go to foreign countries as family- or breeding cats, the price is at least € 950,00. This price is inclusive all necessary vaccinations, identification chip, pedigree papers, ownership documents and deworming treatment and three weeks more take care of the kitten, before it can be transported to foreign countries.